We are a Chlorine pool, we used to be salt but we have switched. We have an 8-metre tall Waterslide, a five-lane, 25-metre Lane Pool, Whirlpool, a Tot Pool with beach-type entry for children and the physically-challenged, and a Multi-Purpose Room, perfect for parties and meetings. The facility is wheelchair accessible. Our fall swimming lesson schedule Comes out on August 11th. Updated on 2019 #10 Knowledge Way , Grand Prairie , AB , CANADA (Postal Code: T8W 2V9). Swimmers like you have reported Olympic size, 10 lanes, Indoors. Also, you will find 25 meters, Indoors. Just in case you desire to contact this Swimming Pool before dropping by, we only know the phone number. Updated on 2019 4514 - 50 Avenue , Wetaskiwin , AB , CANADA (Postal Code: T9A 2Z5). Among all the activities offered by the centre, if you are thinking about swimming you are going to take pleasure in 25 meters x 15 meters, 6 lanes, 1.2 meters - 3.7 meters depth, 1.2 meters - 3.7 meters depth, Indoors. If you might want to contact this Swimming Pool, e-mail address and phone number are both number. Updated on 2019 5600-44 Ave. , Rudy Swanson Park , Camrose , AB , CANADA. This sports centre delivers 25 meters, 6 lanes, Indoors. Contact data for this Swimming Pool just like phone number and email address are number. Updated on 2019 228 - 12 Avenue S.E. , High River , AB , CANADA (Postal Code: T1V). This sports centre gives 25 meters, 6 lanes, Salt Water, Indoors. For this Pool, only phone number is number here. Updated on 2019 Among all of the activities supplied by the centre, for anyone who is considering swimming you will take pleasure in 17 meters, Salt Water, Indoors. 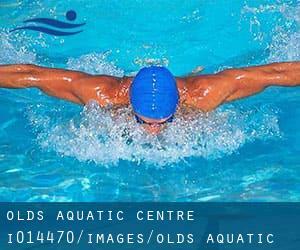 If it is advisable to get in touch with this Swimming Pool, email address and phone number are both number. Updated on 2019 7201-98 Street , Peace River , AB , CANADA. This sports centre offers 25 meters, 6 lanes, Indoors. For this Swimming Pool, only phone number is number here. Updated on 2019 1975 - 111 Street, N.W. , South Central , Edmonton , AB , CANADA (Postal Code: T6J 7C6). Among all the activities offered by the centre, for anybody who is keen on swimming you will appreciate 25 meters, 6 lanes, 1 meters - 2.5 meters depth, 1 meters - 2.5 meters depth, Indoors. Just in case you need to make contact with this Swimming Pool before dropping by, we only know the phone number. Updated on 2019 10211 102 Avenue N. W. , Downtown , Edmonton , AB , CANADA (Postal Code: T5J 0A5). This sports centre delivers 25 meters, 5 lanes, Indoors. For this Swimming Pool, only phone number is number here. Updated on 2019 405 Spray Avenue , Banff , AB , CANADA (Postal Code: T0L 0C0). Swimmers like you have reported 32 meters, 2 lanes, Salt Water, Indoors. Also, you will find 20 meters, Salt Water, Outdoors. Just in case you would like to contact this Swimming Pool before dropping by, we only know the phone number. Updated on 2019 1900 - 8th Avenue , Canmore , AB , CANADA (Postal Code: T1W 1Y2). Among all the activities offered by the centre, for anybody who is keen on swimming you will appreciate 25 meters, 4 lanes, Indoors. Just in case you need to make contact with this Swimming Pool before dropping by, we only know the phone number. Updated on 2019 895 Main Street , Pincher Creek , AB , CANADA (Postal Code: T0K 1W0). Swimmers like you reported 25 meters, 6 lanes, Indoors. Phone number and e-mail address are number for this Pool. Updated on 2019 11510 - 153 Avenue, N.W. , Castle Downs , Edmonton , AB , CANADA (Postal Code: T5X 6A3). Among all the activities offered by the centre, for anyone who is interested in swimming you might take pleasure in 25 meters, 6 lanes, 1 meters - 3 meters depth, 1 meters - 3 meters depth, Indoors. Just in case you desire to make contact with this Swimming Pool prior to dropping by, we only know the phone number.